I have enjoyed watching “Sewing with Nancy” for many years. I used to sit and watch it while nursing my daughter (she is 22 now and getting married this week on Feb. 20) I still watch it today, and if I miss the show on TV, then I try to watch it online as soon as it is available. 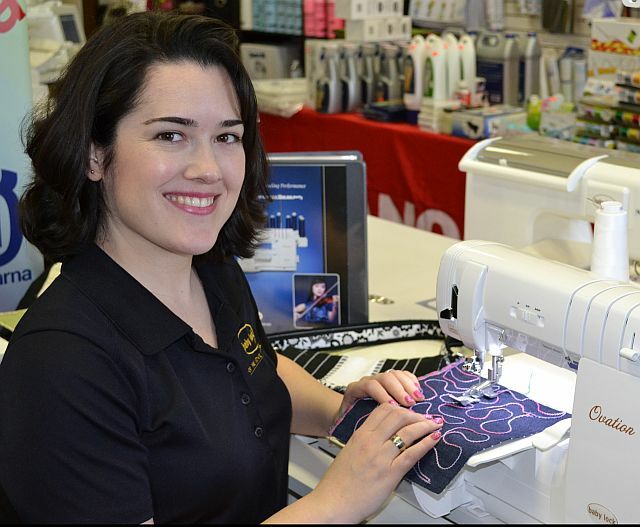 “Sewing with Nancy” and also the website has provided me with entertainment, not to mention how much I have learned about various aspects of sewing. It made learning fun. I would love to get this book. Thanks for posting the video. I hadn’t see it before but “googled” her several years ago and found out about her experiences with Bell’s Palsy. I had Bell’s Palsy after the birth of my first child, over 30 years ago. The doctors don’t know what caused it, but for me it eventually went away. I did have another brief episode while at the Dr.’s a few weeks ago, but cannot “connect the dots” as to why it happened and have no lasting affects. Nancy, as I recall, was the first one to have a TV show that featured sewing and I’ll never forget her professional demeanor. I looked forward to every episode and learned quite a bit from her.